Take a journey through the origin of the country and learn something about its myths This special was created only for Andorra, and is starting for 5 Next week at 9:30 clock of 4 July - be free to see August 1, 2015. 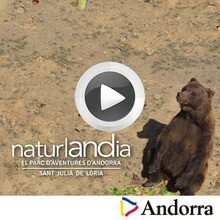 Discover the magic this summer in Andorra and witness this pictorial adventure. To learn more about how you can get tickets, click on this link Andorra.